The 34th annual Charlotte Motor Speedway Media Tour presented by Technocom kicked off on Tuesday morning with a series of announcements from the NASCAR brass. While changes in technology and rules packages dominated the Sprint Cup Series discussion, it was the changes to NASCAR's XFINITY and Camping World Truck Series divisions. The Chase for the championship, elimination-style format will now be a part of the both the XFINITY Series and Camping World Truck Series. The XFINITY Series will feature a 12-driver Chase, with eliminations taking place over three rounds in the final seven races of the season. The Camping World Truck Series will feature a similar three-round elimination over its final seven races among eight drivers. Both series will culminate with a four-driver Championship Race at Homestead-Miami Speedway. Any full-time Sprint Cup Series championship-eligible driver will not be allowed to compete in either championship race. 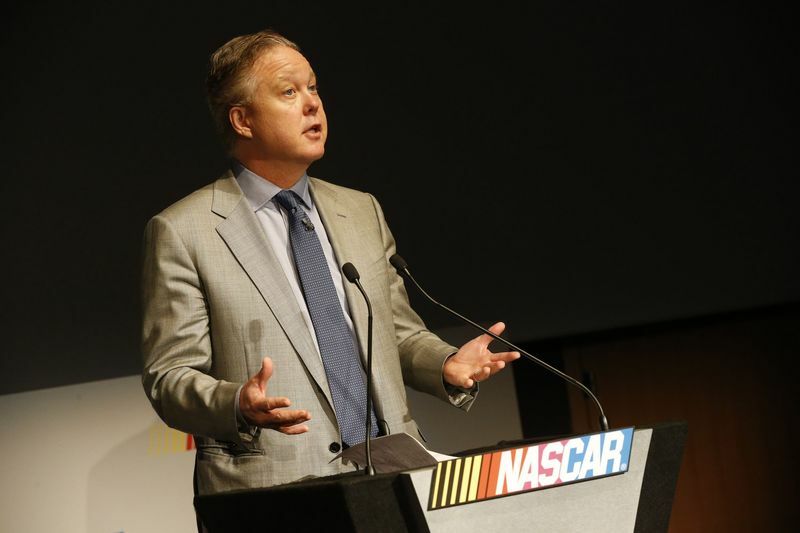 "The culture we want in our sport is to go out and win the race," said Steve O'Donnell, executive vice president and chief racing development officer for NASCAR. "We're looking forward to seeing that type of racing when we get to Homestead at the end of the season." Other additions include the XFINITY "Dash 4 Cash," which will now be comprised of two heats and a main heat at Bristol Motor Speedway, Richmond International Raceway, Dover International Speedway and Indianapolis Motor Speedway. The driver finishing the highest among the four eligible drivers will be awarded a bonus of $100,000. Should a driver win two D4C bonuses, they will get an automatic spot into the XFINTY Chase. The Camping World Truck Series will feature a caution clock this season. Essentially, a clock will begin counting down from 20 minutes at the start of each green flag, and should a caution flag not fly before it hits zero, a competition caution flag will be used to reset the field and allow teams to hit the pits. "We think this is going to add to the strategy in the race," O'Donnell said. "That is an area where some of our younger drivers, younger teams, newer teams, can really use the competition caution to adjust the truck. We think that is going to be huge for the teams." NASCAR announced the Drive for Diversity roster for 2016, which includes Collin Cabre, 22, of Tampa, Fla.; Ruben Garcia, 20, of Mexico City, Mexico; Ali Kern, 22, of Fremont, Ohio; Jairo Avila, 20, of Alhambra, Calif.; Enrique Baca, 24, of Monterrey, Mexico; and Juan Garcia, 18, of Bogota, Colombia. For more than 10 years the Drive for Diversity program has worked to help women and multicultural drivers break into the higher levels of motorsports by providing them with dependable equipment and parts, as well as valuable in-car time and on- and off-track coaching. 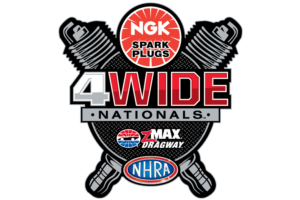 Recent notable graduates include 2014 NASCAR Sprint Cup Series Rookie of the Year Kyle Larson, five-time Camping World Truck Series winner Darrell Wallace Jr., and XFINITY Series 2015 Rookie of the Year Daniel Suarez. As in the past, Rev Racing will field four NASCAR K&N Pro Series East teams and two cars in the NASCAR Whelen All-American Series. Ed Clark, president and general manager of Atlanta Motor Speedway, is excited about the upcoming season and the speedway's new "Classic Southern" branding campaign. The track is honoring Georgia by using all Georgia-grown ingredients for concessions like Cherry Coke, Pulled Pork, Coca Cola Chilli and a QuikTrip specialty Peanut Butter and Jelly Milkshakes. Atlanta Motor Speedway is hosting the QuikTrip 500 Sunday, Feb. 28, where there will be a new event called The AMS Fest for all the racegoers. The fan festival will feature fire pits, live music, a new Fan Zone and Kid Zone. Ed Clark is using Marcus Smith as an example, stating that he wants to "sell more fun", the Speedway isn't going to sell tickets over $99. They will also give credits for an event that is cancelled due to weather. The QuikTrip 500 is partnering with Folds of Honor, a scholarship program that helps give to families that have lost spouses in the armed services, again this year. Last season, Joey Logano donated $50,000 to Folds of Honor after coming in fourth in the QuikTrip 500. ~ Brian France Jr., on the biggest challenge for NASCAR in the 2016 season.